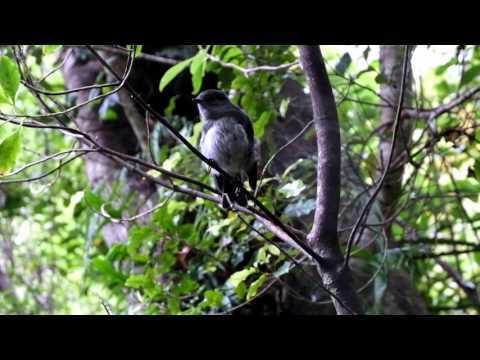 The New Zealand robin/toutouwai is a sparrow-sized bird found only in New Zealand. They are friendly and trusting, often coming to within a couple of metres of people. The people themselves are not always the attraction but the invertebrates disturbed by the activities of people. The robin's strong descending call of five or more notes is repeated often and makes their presence obvious.